As we approach the end of the year, wine is in the spotlight in the capital with three events that should not be missed. The Beaujolais Nouveau will become available on Thursday, November 15th, the Salon des Vins de Vignerons Indépendants trade fair is held from November 30th to December 4th, and the Grand Tasting takes place on December 1st and 2nd. Cheers! As it does every year, the Beaujolais Nouveau lands on the world market on the third Thursday of November, which is on the 15th this year. For the occasion, Parisian bistros celebrate this fresh and fruity drink that’s perfect as a robust table wine. Head to your favourite Parisian bar and raise a toast. The Salon des Vins de Vignerons Indépendants is held at the Porte de Versailles Exhibition Centre from November 30th to December 4th. This is the perfect opportunity to chat with numerous passionate winemakers and discover new vintages in a friendly and pleasant atmosphere. Plus, you can buy some great wines with which to celebrate the end of the year. On December 1st and 2nd, the Carrousel du Louvre welcomes the Grand Tasting. You’ll be able to taste superb grands crus and learn more about the best wines in the world. Deepen your knowledge of oenology and give your palate the opportunity to savour the elite of wines on a global scale. 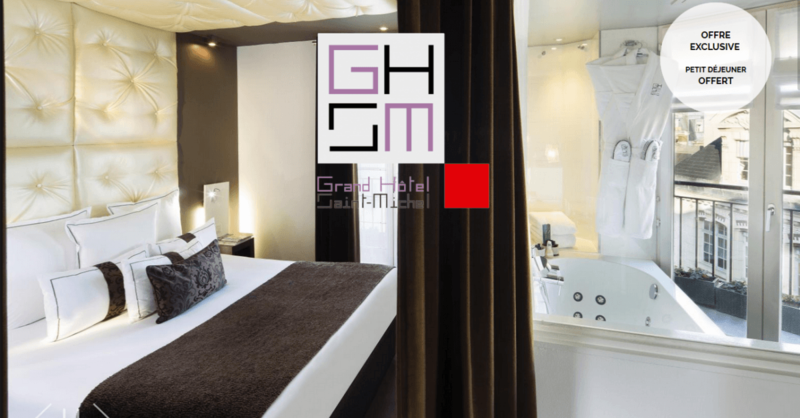 For your stay in Paris, book your room at the Grand Hotel Saint Michel. Located in the 5th arrondissement of Paris, it is well-placed to allow you easy access to these two must-see events and to enjoy the Beaujolais Nouveau in the best Parisian brasseries.